All Saints’ Day is approaching, the day when, according to the tradition of our forefathers, we visit the graves of our loved ones, war heroes, famous politicians, artists and those who have sacrificed their lives working for the community. 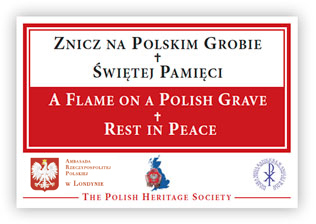 Last year, the Polish Heritage Society, inspired by the work of the so-called post-war Polonia organisations (Polish Catholic Missions, Polish Schools, Polish Knights of Malta, Polish Scouts and lately the Poland Street organisation), coordinated a successful campaign called “Polish Flame on a Polish Grave” across almost the whole of the UK. In 2010, thanks to the participation of most of those organisations and with the help the Polish Consulate and the Polish Tourist Board, traditional candles were lit on more than 1,000 graves of Poles in this country. In most of the cases, the graves had to be thoroughly cleaned. Members of the PHS had to saw branches which hid the graves and use brushes to clean the letters on the tombstones. Many of those graves were forgotten and neglected. It took a lot of time and effort to read the plans and find them. The initiative met with wide support. A great role was played by the Polish Catholic Mission and the Organisation of Polish Schools (PMS). Despite the rain, hundreds of volunteers, including Polish war combatants, the scouts, members of Poland Street in London and private citizens, prepared the graves and lit the flames in the whole country, from Scotland to southern Kent. As we move into October, we appeal to all Polish-based organisations in the UK and all the Poles living in this country to participate in our joint effort this year. As 1st of November is a working day and the cemeteries close at 16.30. Our Action therefore will take place on 29th October, the last Saturday of the month (as last year). We will be sending candles to those who contact us, or they can be collected in a specific place. You can find all the details below. As we have only a limited number of candles, we will be sending them on a “first come, first served” basis. But using the link below a label can be downloaded, printed and attached to your own candles. 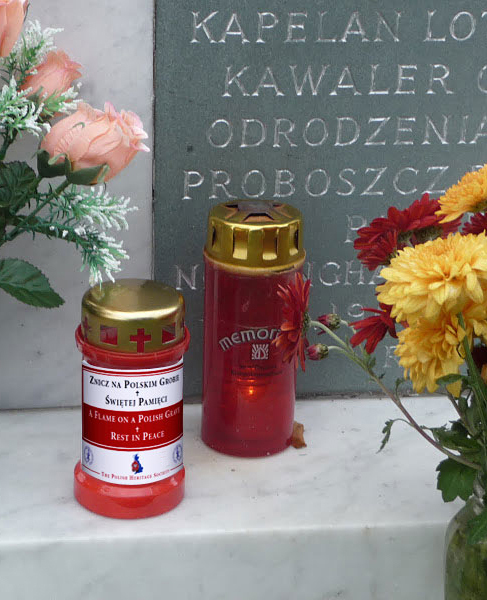 The label reads: “A Flame on a Polish Grave”. Download "Polish Flame on a Polish Grave" labelWe also count on your help to help in cataloguing and photographing newly-found graves which there are not in the Polish Heritage Society or Devonia Road databases, so we can be more efficient next year. Please send the information to Mrs. Bozena Junge (email address above). Last year we were very lucky to find graves of Polish pilots in Coventry and the graves of Maria Pawlikowska-Jasnorzewska and other poets in the “Poets Corner” at the Hampstead Cemetery. The graves were totally overgrown. Please send us at the PHS pictures showing you cleaning the graves and lighting candles, along with a description. 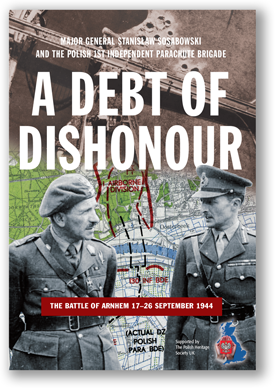 Documenting the campaign and putting the photos and information on our website will have a great educational value for the new generation of Poles living in the UK. Most of them will not be able to visit the graves of their loved ones in the country of their parents. Many participants in our campaign last year told us that going to visit Polish graves here where they live now helped them at a time of loneliness, when they were missing loved ones in Poland. With your support, we can make a day so dear to the hearts of all Poles all over the world a very special one here in the UK.